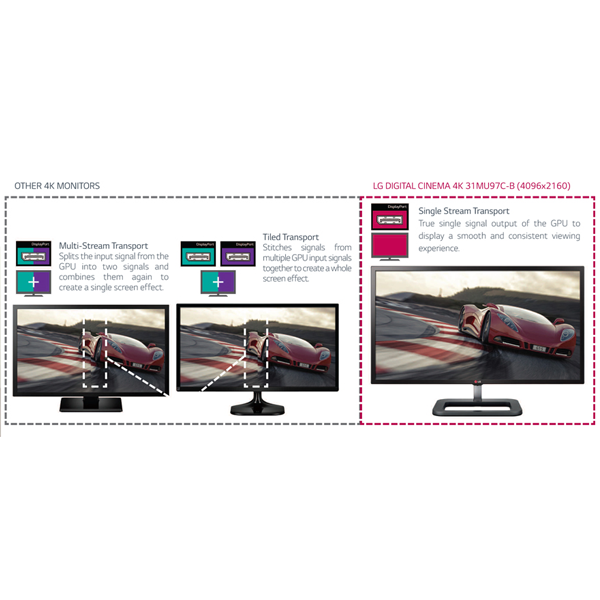 The first 4K Monitor for small monitor category with DIGITAL CINEMA 4K/IPS display with adobe RGB/Single Stream Transport/DCI-P3 Digtial Cinema Color Standard. By supporting Adobe RGB over 99.5% with IPS technology, the 31MU97C-B minimizes color differences and color loss by using a wide color gamut and color temperature that covers both sRGB and CMYK color ranges. 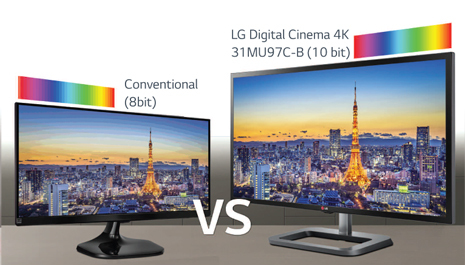 As a result, retouching of photos on the 31MU97C-B creates final images with vivid and vibrant colors that other VA or LCDs cannot. 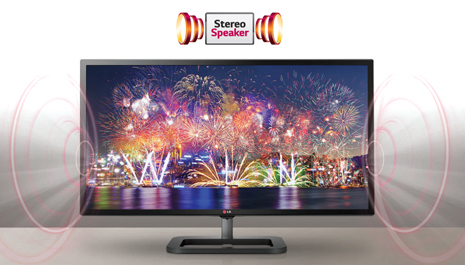 With two internal 5W speakers and MAXXAUDIO® functions, there is no need for separate high-end monitor speakers. 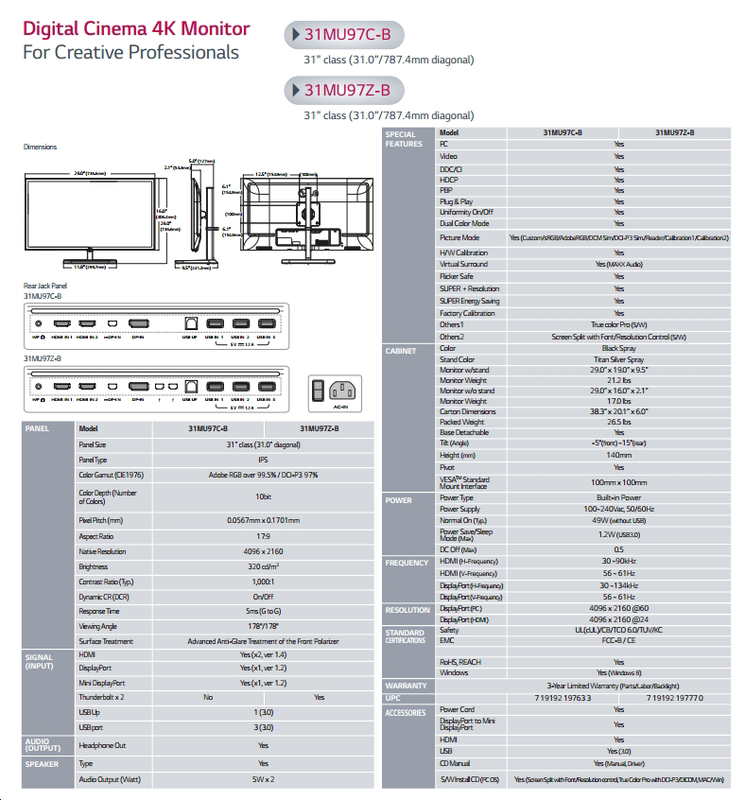 The 31MU97C-B which supports MAXXAUDIO® delivers high quality sound with a wide range of vibrant, crisp, and clean high and low decibels while reviewing or editing 4K content. 10-bit color depth that supports over 1-billion colors is 64 times richer than an 8-bit color display, re-creating colors softly and naturally without color banding. 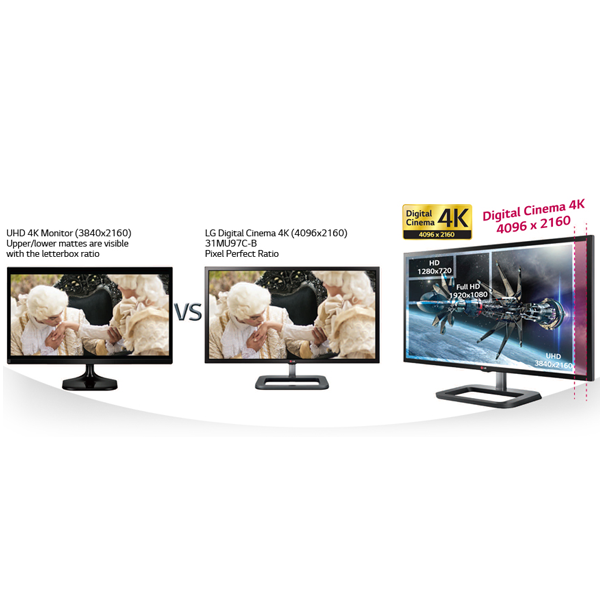 All the images details are displayed with a richer and wider color range that enables accurate, detailed, and natural-looking images. More shades in-between gradient transitions are displayed for a smoother image. 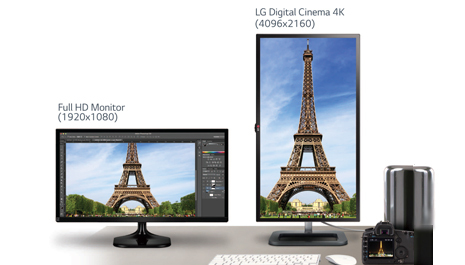 Through detailed color calibration testing, the 31MU97C-B maintains its color standard with software calibration and a factory preset, minimizing differences in color space and expressions between the original images, monitor screen, and printed result. 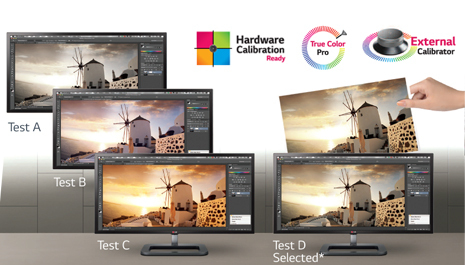 *Select the desired color environment through various color tests for color accurate reproduction. 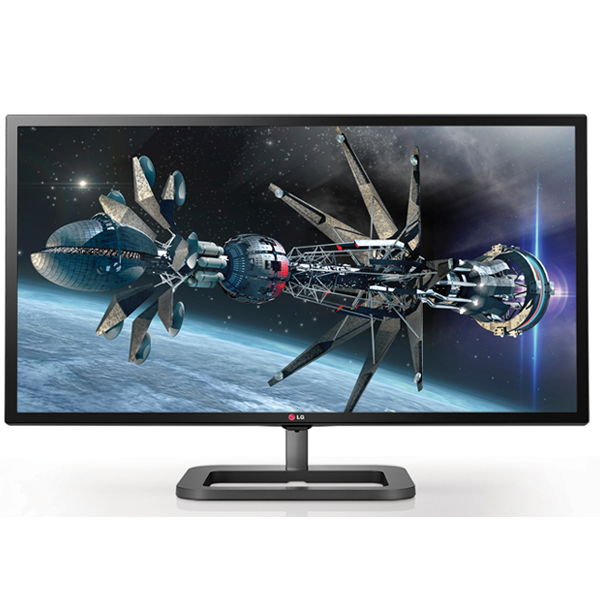 Simultaneously compare work done using both RGB and sRGB color modes by having half the screen in one mode and the other half in another. 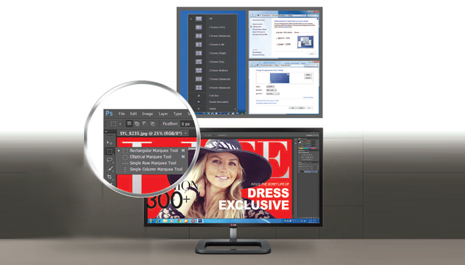 View side-by-side, Adobe RGB for print and sRGB for web, to maintain original resolution and any color distortion that may occur in the final project. Using the OS system shortcuts, adjusting font sizes, accessing the toolbar, menu fonts or adjusting the resolution is a quick and easy step. • Mac devices do not support the font adjustment function. 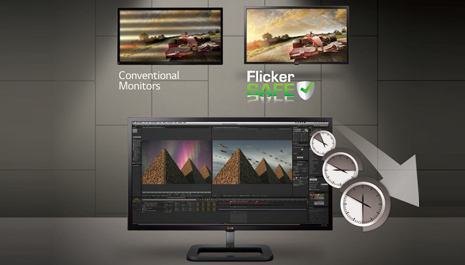 • When using the font size control, the compatibility with the SW or the level of size adjustments may vary depending on the individual SW.
LG's Flicker Safe function allows you to spend as long as you want working on or enjoying content without burdening your eyes. This technology reduces the flicker level to almost zero to protect your eyes from exhausting flickers and blue light emissions. 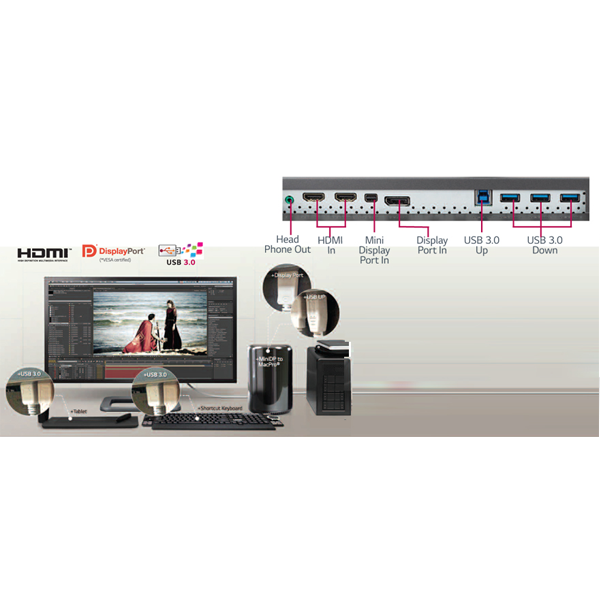 The 31MU97C-B comes with variety of color modes ranging from the basic sRGB and Reader, all the way to the more advanced Adobe RGB and DCIP3 Sim, to accommodate a wide spectrum of needs required by professionals. 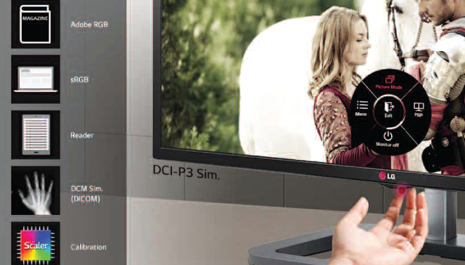 Simply choose between color mode feature presets or customized calibrations using the joystick.